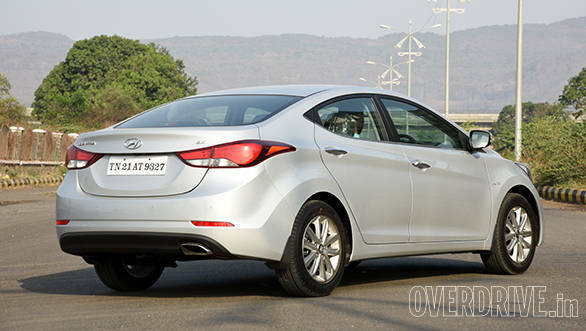 Hyundai has refreshed its Elantra for the model year 2015. The all-new Elantra surfaced in India in 2012, going on to win the 2013 CNBC-TV18 Overdrive Car of the Year award and it is after a good three years that it gets an update. But by how much have things changed for the best seller in the upper C-segment. We find out. Starting with the looks, Hyundai has applied Fluidic Sculpture version 2.0 strokes to the Elantra. It looks a tad sharper. The headlamps are now projectors with LEDs surrounding them. These lend the new Hyundai Elantra an even more upmarket look. The bumpers, Hyundai says is new. In keeping with the youthful trend, the 16-inch 10-spoke alloys also look sportier. The tail lamps mimic LEDs while the tail pipe muffler gets a Verna Transform like cover which gives it a sportier appearance. Moving on to the interiors, the all-black theme interspersed with brushed aluminium bits on the door pads, dashboard and door sills look quite cool. However, these bits still feel a bit out of place if you take competition like the Toyota Corolla and Skoda Octavia into the equation. 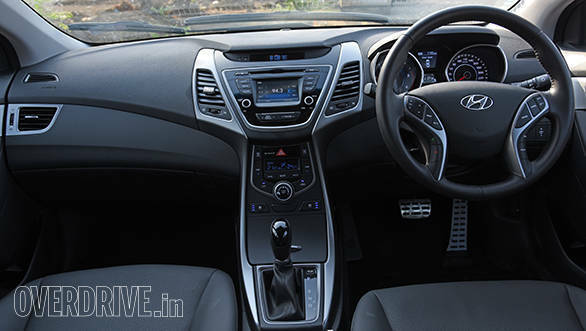 Dual-zone climate control, those front leather seat coolers which work independent of the AC, electrically foldable mirrors (the ones on the Xcent close once you lock the vehicle, but not on the Elantra), huge chilled glovebox, a choice of two petrol and diesel engines along with manual and automatic transmission options have been retained from the outgoing car. Hyundai have traded the Korean Nexen tyres to more grippier Apollo Acceleres. The in-cabin noise has also reduced considerably and this makes for a very relaxed environment. There is ample seating space at the rear, however, the head room could be improved. 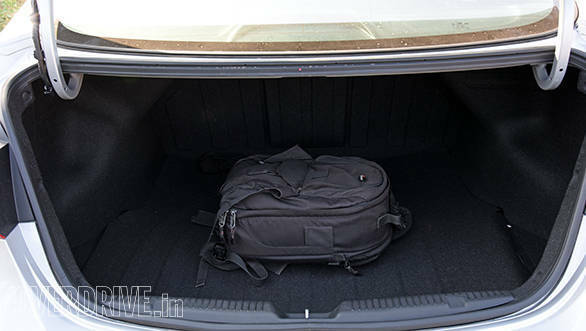 The boot though is cavernous, but the design makes it look bulbous. We got the diesel automatic variant of the Hyundai Elantra 2015. The driving experience of this 128PS diesel motor is a tad underwhelming. The engine and 6-speed transmission combo simply aren't for spirited driving. In fact, getting the motor on the boil takes quite some time. 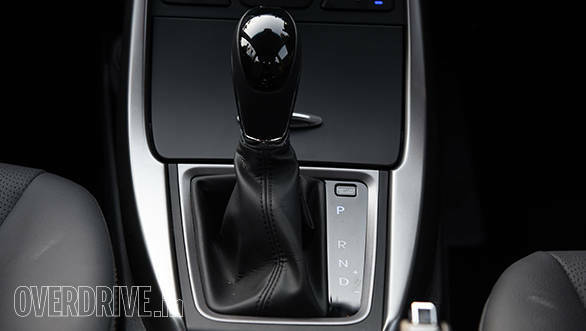 Hyundai could do well to add a dual clutch box or a quicker, more in-sync automatic transmission. 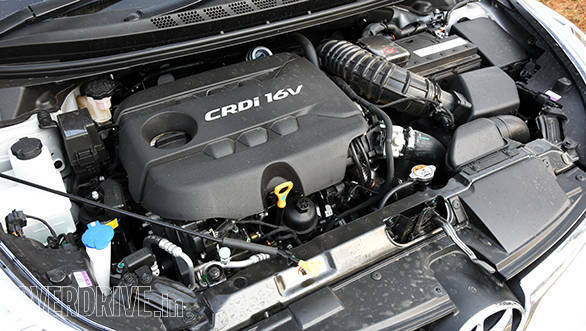 We have experienced this 1.6-litre diesel motor with a manual transmission and it feels fast. Hyundai claims a fuel efficiency of 19.11kmpl on the diesel automatic while the manual returns 22.7kmpl. 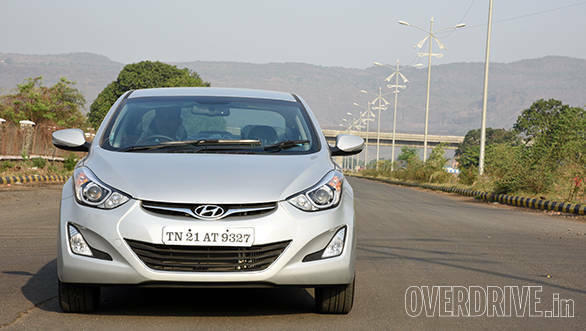 While this Hyundai may not be the best handling car in its segment, it does the job, better than its sibling, the Verna. In the ride department, the 2015 Hyundai Elantra absorbs bumps very well and is quite a difference from the other stiffly sprung examples in its segment. Hyundai has priced the base petrol manual S variant at Rs 14.81 lakh while the car that we drove (1.6 SX AT CRDi) retails at Rs 18.80 lakh, ex-Mumbai. While there aren't any changes to the powertrain of the new Hyundai Elantra, there are subtle revisions to the design both inside and outside. However, there are some bits which could be improved including a bigger touchscreen unit for the infotainment system along, a more comprehensive multi information display, more head room at the rear and the biggest of them all - a quicker automatic gearbox. We believe these changes will be incorporated in the all-new Hyundai Elantra which should be out in a couple of years.